Sheet masks aren't exactly a new thing in the skincare world - they have been a part of Asian skincare routine for a long time - but it's only now that they are starting to become widely available in other parts of the world. I have been noticing a lot more sheet masks at drugstores and at my local Target. I discovered sheet masks a while back when I was in India. There were very few brands available, and most of them were geared toward brightening/lightening more than hydrating. Since then, I have tried quite a few sheet masks, found some staples, and am always trying out new ones. For those who are new to the sheet mask trend, here's 5 reasons why you need to give these a try. 1. 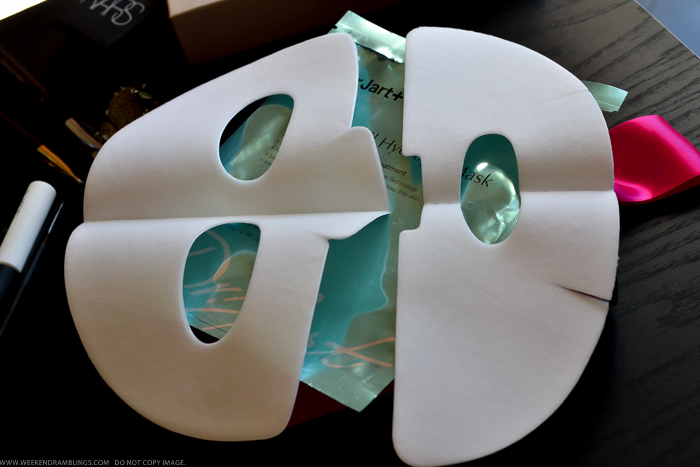 Sheet masks are serum-soaked paper or cotton masks with precut openings for eyes/nose/mouth. You place the mask on your face, leave on for about 15-20 minutes depending on the directions on the pack, and once you are done with the mask - just toss it and massage in any remaining serum into the skin. That's it. No washing, wiping, scrubbing. The serums used in sheet masks are concentrated versions containing antiaging or hydrating ingredients and/or vitamins for brightening skin (depending on the type of mask), and while not a replacement for daily skincare, they are a good way of giving an instant boost of radiance to the skin. 2. Because of their design, sheet masks come individually packed, so you can easily carry one around in your bag, travel with it without worrying about leakage or luggage restrictions, and you can split a pack between friends (which is what I used to do with my friend back in India). SKII Facial Treatment Mask. Available as single masks for $17 or $135 for a pack of 10. 4. There are sheet masks for just about every skin issue. For a quick brightening effect, I like the When Travelmate masks and the Yes to Grapefruit Pore Perfection mask. Dr. Jart Water-Fuse mask adds moisture to the skin and is a no-mess mask. The serum is locked into a gel formula so you have barely anything on your fingers while applying this mask. A brand that's new to me is Look Beauty. 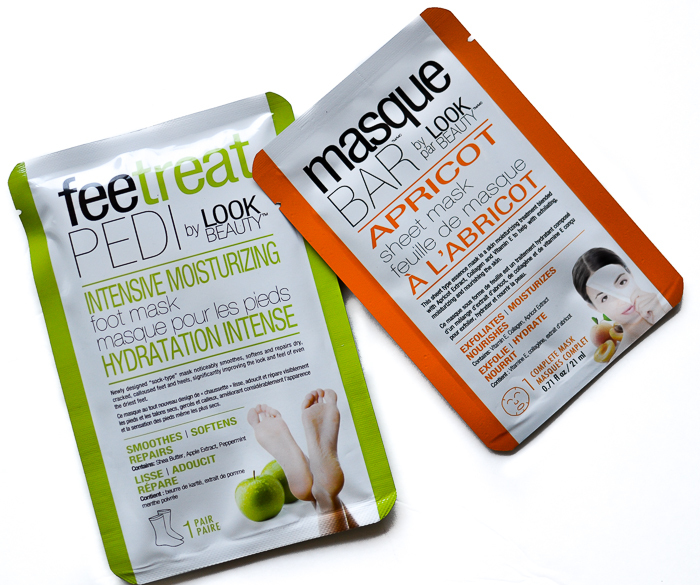 I have two of their masks - an exfoliating and moisturizing Apricot face mask and a Feetreat Pedi moisturizing foot mask. The "sheet" in the foot mask are a pair of socks filled with the moisturizing formula. Put them on and leave for about 30 minutes for supersoft feet. Full reviews in a bit after I get a chance to use these. Look Beauty masks are available at Target and on Amazon. 5. This last one might be a bit of a personal preference, but I feel like I get much more of an instant gratification with using sheet masks than with regular masks. Sheet masks completely cover the skin with concentrated serum and keep it in close contact with it, and perhaps the effect is just more obvious on my skin (oily-combination but dull and lacking hydration), but I do feel sheet masks plump up my skin and make me look rested and refreshed even if I get no other benefit from the mask. The one thing common to all masks is that you get the best benefits if you take the time to relax. Apply the mask and lie down in a quiet place for some time. Most of these sheet masks stay on the face even if you walk around with it, but I think they work best when you lie flat. 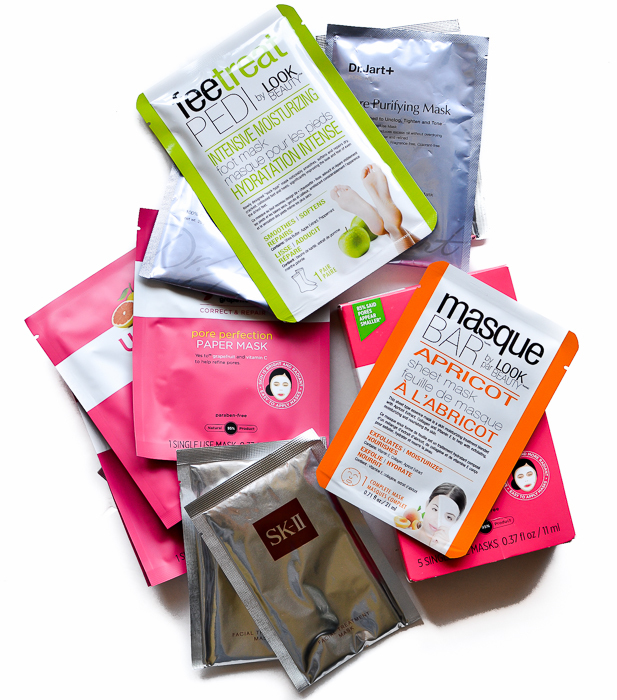 Have you tried sheet masks? Do you have a favorite - do share!